Plus234 - Hypactive.com - Largest Music Distribution Network, Your entertainment is now Hypactive. You had to be there live. Plus234 rock band played live at the Silver bird Galleria Rock event in lagos, Nigeria, their city, were lots of fans and rock heads could not get enough of their music genre “Afro Alt Rock” and play style. The band played about 3 songs off their upcoming album due sometime next year. 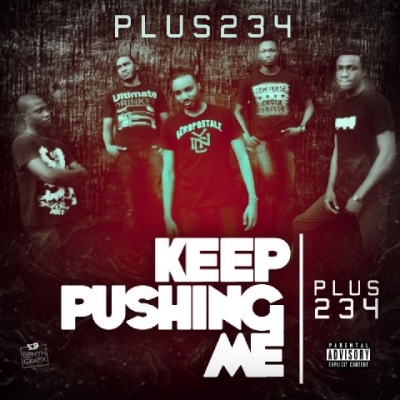 One of the songs played titled ‘Keep pushing me’ which is a brilliant mix of African Instrumental sounds fused with alternative rock sounds. You can hear supporting vocals from a native chant of an African dialect merging with the main hoarse and clear rock vocals from the main Vocalist. Another song performed was ‘The Impact’ also off their current album being worked on. Excited as they were with the new sounds they were laying down, you could see that the band never anticipated the enthusiasm both from fans and critics all together in one hall. Their songs are fresh and familiar at the same time because of the unique blend of the Afro/Alt combination with addictive and fantastic melodies. The instrumentals are detailed and classy, taking you to worlds of konga Drums, pianos and Distorted Guitars sitting on hoarse vocals. The band was formed early this year when then Pianist and song writer Michael and Guitarist and band head, Tobi broke off from their former band called Lucid Storm to start something new on their own. They called upon a friend James, whom they have known for a while as a superb Electric Guitarist and song writer with one of the most harmonious solos ever, to join the band . The band met and enrolled Ay the Funky bassist who is somewhat godlike at what he does with the bass guitar. Ay has bass rhythms that run up and down the track reminding you of Flea from Redhotchillipeppers. His bass sounds remain entirely unique making you listen to something different over and over again throughout a track. Apparently, Ay brought in the drummer John, a highly eccentric rock drummer with some Afro touches on drums who show cased skills beyond comprehension during the Silverbird rock show . The drummer who is also an Artist with impressive paintings and sketches began to work on new drum sounds immediately ( Expect lots of Artwork from this band).